This year-long course is designed for any student interested in pursuing a career in any allied health related career. Students will do in-depth career exploration in allied health careers. Students will also have an opportunity to earn dual enrollment college credit for Medical Terminology through this course. Both of these are required college courses for all allied health programs. 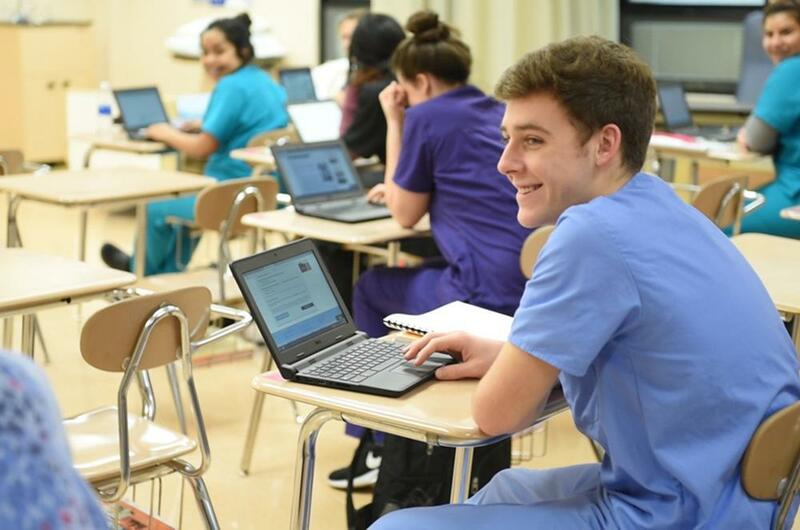 Juniors who successfully complete the course will be given priority enrollment the following year for advanced training into any of the ROC allied health programs, including Nursing Assistant, Medical Assistant, Pharmacy Technician, Dental Assistant, or Sports Medicine. Introduction to Health Careers students should have average or better math, science, and English skills and solid attendance. The program dress code includes wearing a specified uniform (scrubs) on assigned days.